I recently attended the Google London Test Automation Conference in Google's plush London offices. Much fun was had meeting people and sharing ideas over table football and free beer and there were plenty of presentations, all of which can be viewed online. There was even testing advice presented while you recycled the refreshments! The presentations that stood out for me were Goranka Bjedov on Using Open Source Tools for Performance Testing, worth watching for the snappy one-liners alone, Robert Chatley and Tom White on LiFT, a framework for Literate Functional Testing, and James Lyndsay's lightning talk on Automation for Manual Testers, the takeaway lesson being that manual testing is about using your head, not your hands and benefits from the judicious use of automation. A test using jMock 2, showing the Mockery, strongly typed mock objects, and literate expectations defined by references to real methods. 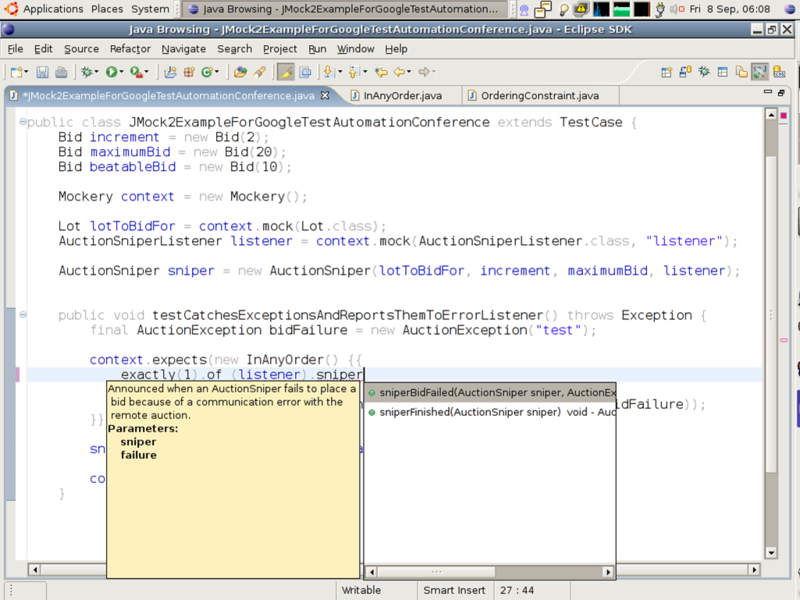 Autocompleting on mocked methods when writing expectations. 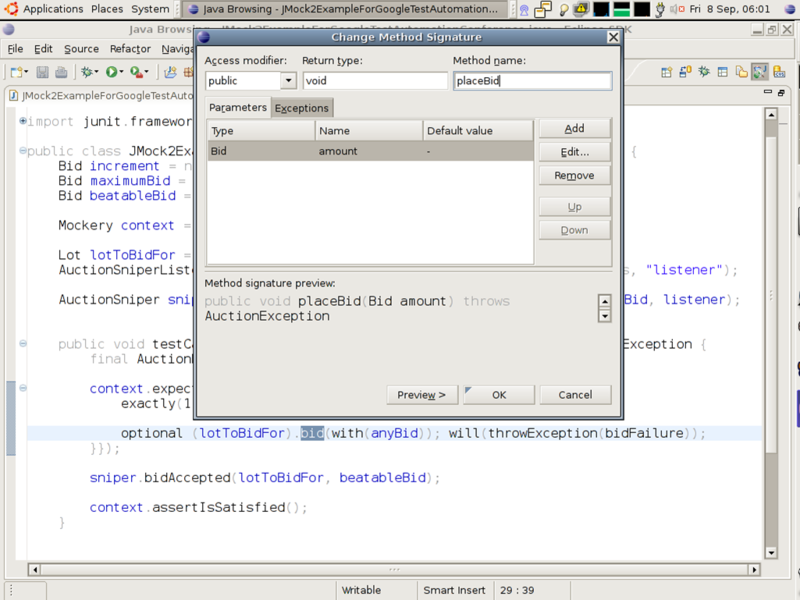 Creating a new method by applying the IDE's quick-fix to an expectation. 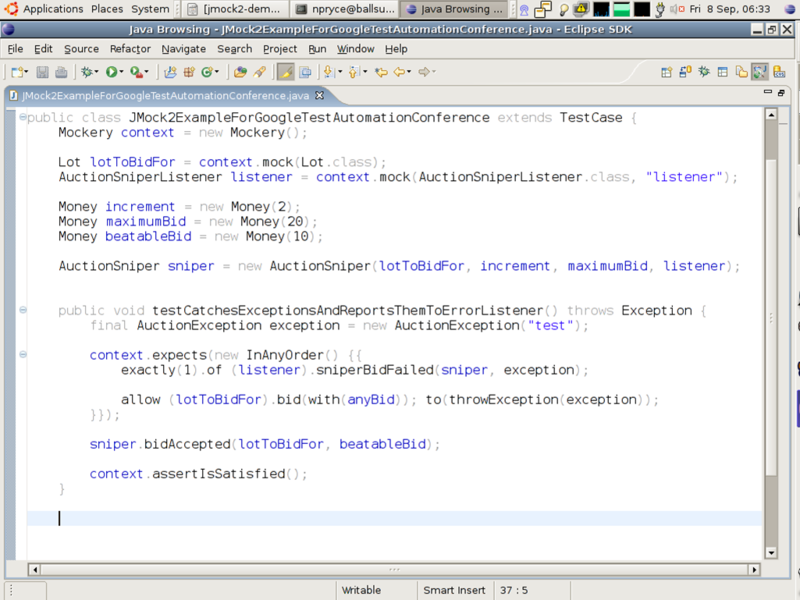 Refactoring a mocked method from within a test. 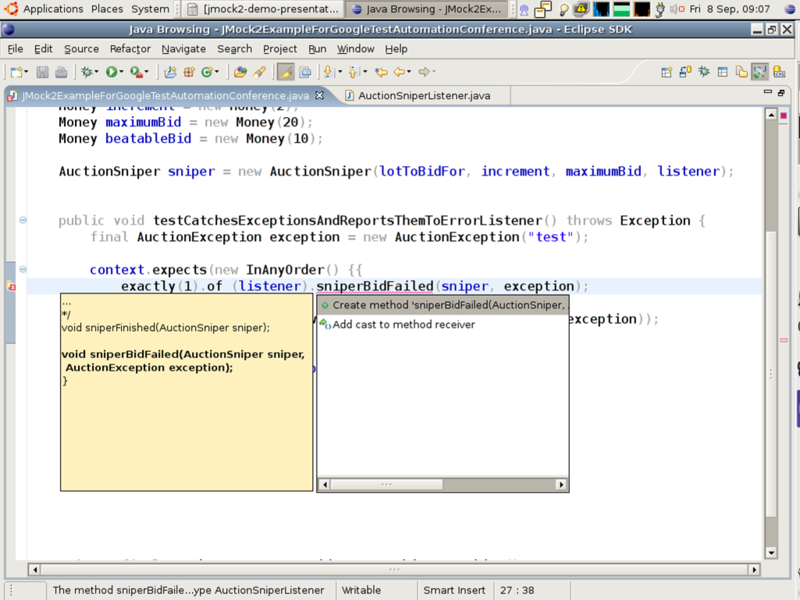 More examples of jMock 2 can be found in the acceptance test suite. Copyright © 2006 Nat Pryce. Posted 2006-09-25. Share it.